A couple of weeks ago Facebook announced that you could download your profile information for either backup purposes or for moving to another service. First though, let’s talk about what this means and why you would want to get a copy of your profile. You should not be using Facebook, or any online service, as the only place where you store your media (photos, videos, etc.). In the Facebook download ZIP file that you are about to create you will see that your photos are not full resolution. Facebook (until recently) has been shrinking your photos to the size you see on screen—too small to make good quality prints if you later decide to make some. Online photo sites should be considered a place to share copies of your photos, but not a full backup of the photos. While services like Flickr and SmugMug do a much better job at making full size backups of your photos, you are probably not uploading every photo you take to those services. You should take a more active role in archiving your photos and other media such as backing up to another drive and using online backup services like Amazon S3 and Carbonite. Theoretically your information stored at Facebook is secure and no one is able to dig into your social graph without your permission. When I joined Facebook (mid-2007) we were told that our information would only be available to the few people who were “friends.” It seemed extremely private at the time. But time has eroded that illusion of privacy and I treat Facebook, as I always have anyway, with the thought that anyone and any website has access to any of the information that I make available through my profile. However, if you are sharing information more freely on Facebook (addresses, phone numbers, children’s names, etc.) 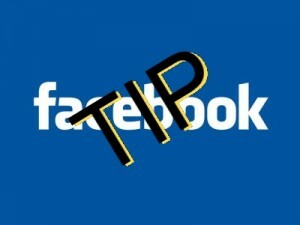 you will want to be careful with the ZIP file that you will receive from Facebook when you download your information. Everything you have ever posted on Facebook is available to anyone who gets access to that file. Don’t email the file to someone so they can have a copy of all your pictures. They won’t be as careful with making sure others don’t get to the personal information you may have shared. One of the biggest downsides of putting your information on Facebook is that there is no way (that I know of) to find out what you posted on this date last year. That is, without scrolling to the bottom of your profile and clicking “Older Posts” dozens of times. If you remembered that you shared with your friends that you were able to lead a certain person to the Lord, but could not remember the date, you can go back and find that information easily in the profile download. All of the information will be on one long page on your local computer instead of having to be downloaded one screen at a time from the Facebook servers. While there is currently no place to move away from Facebook there may be some day. With projects like Diaspora* the idea is that you can put all of your information into a new service by importing your photos and written content when you move. It does not look like we will see the death of Facebook any time soon, but being able to have your own copy of your information that previously only resided on the Facebook servers is reassuring. Log in to Facebook and then click on Account (currently top right-hand corner of your screen), then Account Settings. Towards the bottom of the next screen is a line that says “Download Your Information.” Click the link to the right that says “learn more.” The next screen tells you about the file it will generate and then allows you to create the ZIP file for download. It will take some time for it to create the file. When it is complete you will get an email telling you how to download the file. It depends on how much information you have in Facebook as to how long this process will take, but as an example it took mine more than 2 hours to complete. The final file was 56 MB. Once you have the ZIP file you can unzip it by right clicking on the file and extracting it. You can start browsing your information through a familiar feeling interface in your web browser by clicking on the index.html file in the extracted folder. You will then see a bare-bones representation of your Facebook information. Clicking on the different links under your profile picture will give you the information on one page that is contained in that section of Facebook. For example, I can click on the Wall link and see all the status updates I have ever written as well as anything that others have posted to my wall. BONUS TIP: You can easily search the information on the page you are looking at in your browser by pressing CTRL + F to bring up the “find” box in your browser (CMD + F on a Mac). You can then search for any word or phrase to help you find specific information quickly.